No one likes it when people steal an idea and republish it. In the world of blogging, a’via’ link at the bottom of a post has become the norm for crediting sources. However, this phenomena is getting way out of control and many people link to the latest source in a long chain rather than the original. I found out first hand just how bad things had gotten when I started trying to track the actual source of an article today, only to be plunged into a seemingly endless list of links. 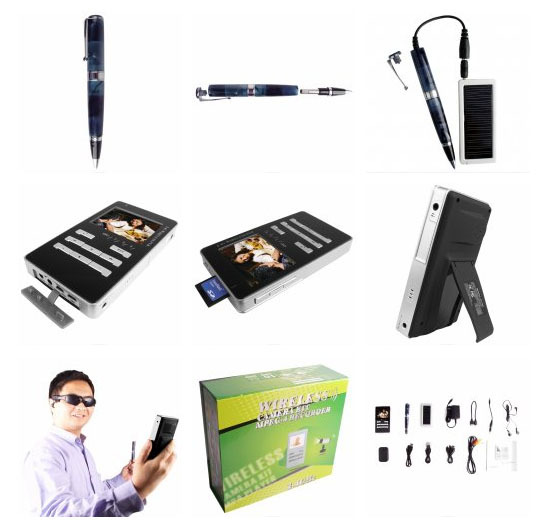 It all started with a blurb on EcoGeek about a 007 Solar Pen Camera spying device. I wanted to submit the link to Digg then noticed their blurb was via TreeHugger, which in turn added two new links: ChinaVision and Dvice. The latter link traced to UberGizmo, which linked to UberReview that in turn linked to 7Gadgets (an appropriate 7th link in the ongoing chain). Most of these sites didn’t link to the ChinaVision (original) site, and only one linked to 7Gadgets where this information apparently first hit the blogosphere. The fact that this last source didn’t link another source doesn’t even mean, of course, that it is the last source in the chain. Maybe this is just where the chain got broken because one author didn’t cite his source. So where did this come from? Which one should you link to or submit to Digg? Who knows. What does this mean for the blogosphere? Is it natural and healthy sourcing or a sign of things getting out of control? Now, I’m not from Seattle … I’m from New York an Minnesota, and snow’s nothing new. Still, it’s fascinating to watch how Seattlites react to a sudden dump of white stuff from the sky (not the same white stuff they’re snorting in front of the house right now) I’ve come to take for granted over the course of my life. Other thoughts … let’s see here … Gil has to be one of the hardest-working bloggers I know, and a great guy to boot … he’s building up real momentum on his site and I highly recommend checking it out. There are a lot of nifty Diggers (yup, been spending a lot of time on Digg) I should call out as well but I’ve been thinking of saving that for a future post that highlights Diggers by niche. Oh, yes, I just got back from Chicago where I flew in a small plane for the first time – with my brother (of all people) at the wheel. There’s also nothing quite like going from Seattle to Chicago to remind you just how big a big city truly is, but I digress. There’s also nothing like going shopping on Black Friday to stir up images of the opulent Roman Empire before its collapse!